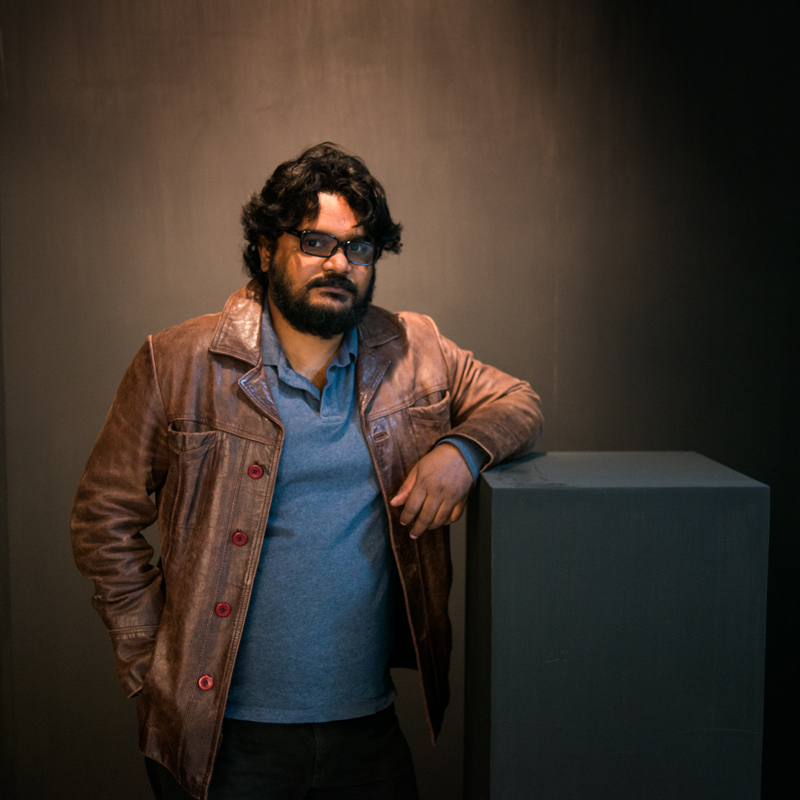 Shumon Ahmed (b. in 1977) is a Dhaka-based artist & poet who explore the fusion between multiple mediums to create stories that while seemingly contradictory, are private yet collective. His approach into combining different mediums is deeply meditative and has also been likened to memory and loss that yield the melancholy and a longing for the uncanny. Ahmed studied photography at BPS in 1996 while simultaneously being part of a Dhaka based poetry magazine called Natai, then later to Prism (2004-2006), South Asian Media Academy, Dhaka (2006-2009) & Danish school of Media and Journalism, Arhus, Denmark. (2008) His work has been previously exhibited in various galleries, festivals, screenings and fairs worldwide, notably at 4A Centre for contemporary Asian, Sydney 2017, Curated_by, at Krinzinger Projekte, 2016, Kochi-Muziris Biennale 2014, India, Dhaka Art Summit (2012,2014,2016), Whitechapel Gallery in London (2010), Fotomuseum, Winterthur, Switzerland (2010), Frieze art fair New york and London 2017, Art Basel Hong Kong, Daegu photo biennale 2018 and a solo exhibition at Project88 (2015). He currently lives and works out of Dhaka, Bangladesh.